Keys are on the way out. 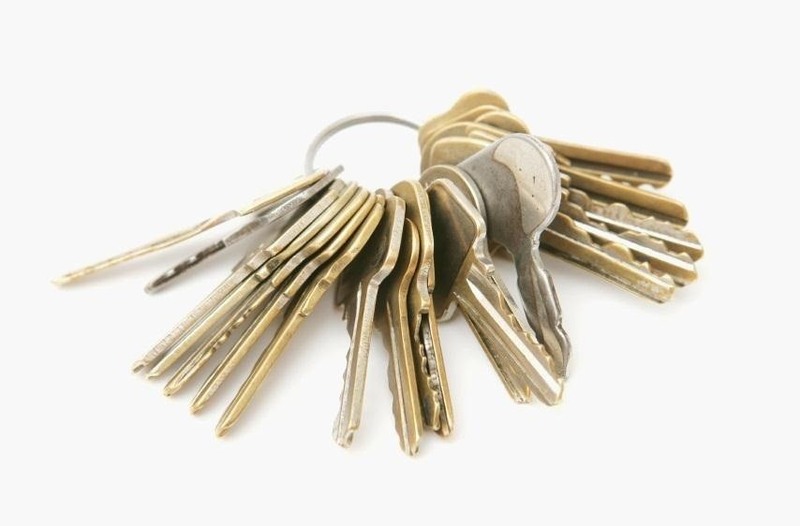 They're clunky, take up precious space, and slow you down when you have tons of identical-looking gold ones on your keyring. Everything we can open with keys can now also be opened with wireless technology in just a click—so why use keys anymore? 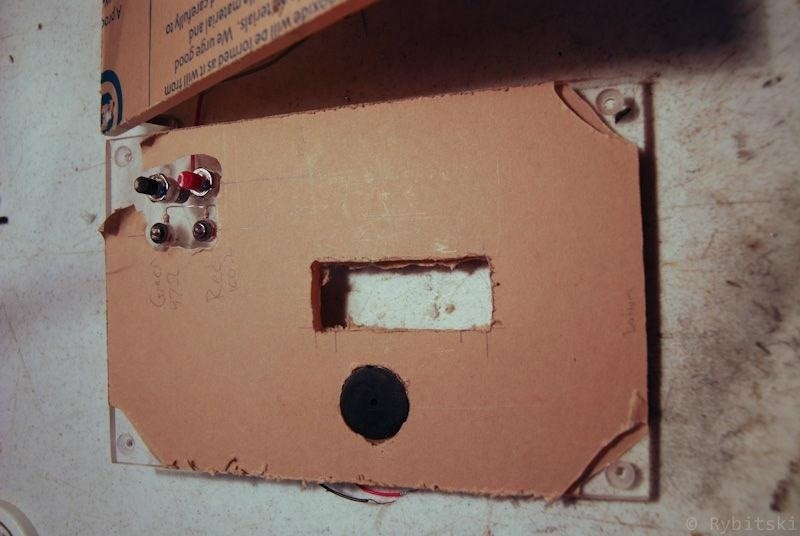 Sure, you can pay hundreds of dollars for an automated lock system on your house—but why do that when you can build it yourself! 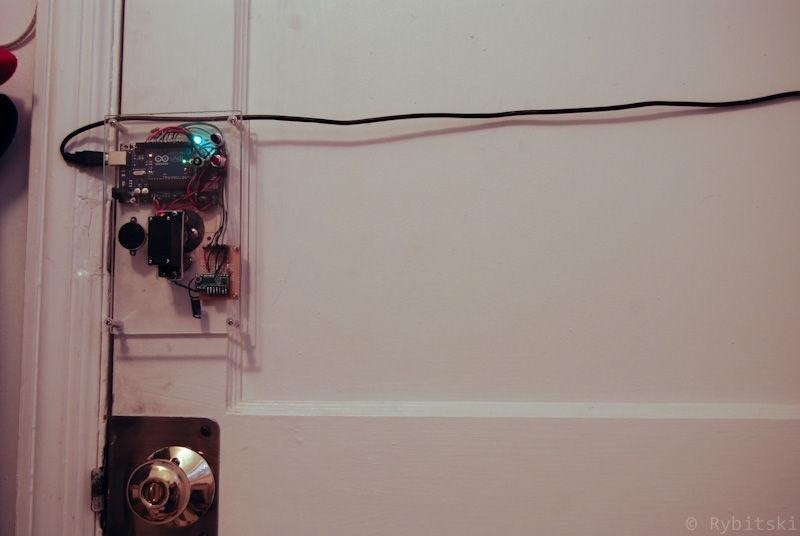 Instructables user rybitski decided to build his very own Keyfob Deadbolt system to lock and unlock his front door just like you would with a newer vehicle. 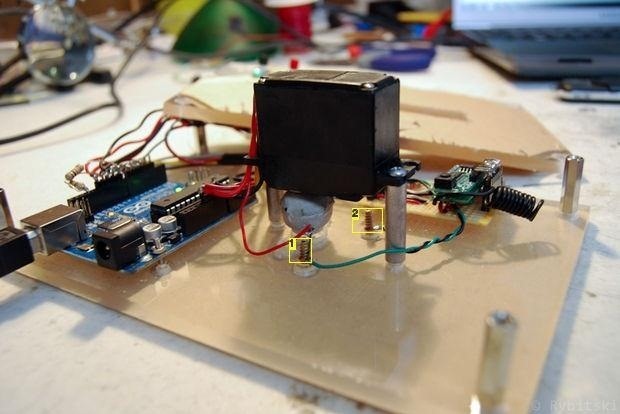 He used an Arduino Uno, a servo, an RF transmitter and receiver, and some other basic electronics parts to get the job done. Check out the video to see his wireless remote entry system in action. Rybitski first mounted the parts onto sheets of acrylic (but you could use another material). 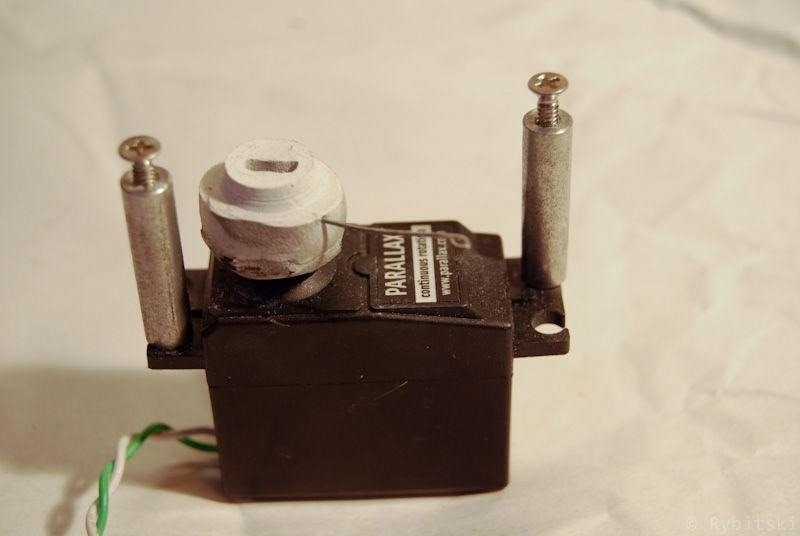 Then he attached the servo to the deadlock, which pushes and pulls it. Next, he wired the Arduino to the acrylic and loaded the keyfob program code (which can be found on his project page). Lastly, he set up the project on the door and put it to use! If this isn't quite what you're looking for, there are other door-locking projects similar to this, like this RFID locking system or this text message based lock. Can you post the code for the Arduino?